I will say this, I think you need to be in a certain mood to get into the story. A mood that appreciates a slow pace where things seem to be mundane. 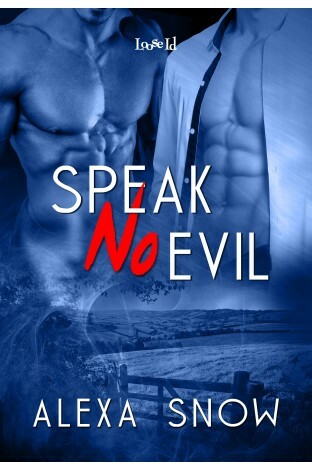 Because while Speak No Evil started quite intriguing, with the ghosts appearances and how one of them seemed to be quite threatening towards Jamie and Sebastian, what followed was not exactly a thrilling storyline. Jamie and Sebastian left the house and dealt with family issues and pretty much discarded the potential of a great ghost story there. I thought the characterization was well-written. I loved the age gap, I loved the gradual process of Sebastian, from one who was truly scared of ghosts, who refused to try to help them, who didn’t speak, to finally embrace his ability. I liked Jamie’s nonchalant attitude towards the ghosts but at the same time, after he knew Jamie, he wanted to do more. Just because it would help the younger man. But yes, the flow was slow – and there were some possible horror/suspense plots that I thought were a bit wasted. For me, the switch of location between Jamie’s house and then later to his sister’s house sort of disrupted the story-telling somehow. It was also quite long for this type of plot/conflict, so if you are not in the right mood, I guess you could find it boring. The climax near the end was good, though, it finally gave the adrenaline boost needed. This entry was posted on March 4, 2015 by Ami in PNR / UF / SF / DYS, Reviewer: Ami and tagged 3.5 Stars, alexa snow, ghosts, loose-id.